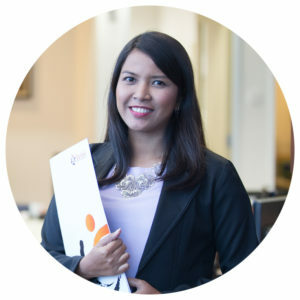 After my graduation, I have worked for this Company as an Auditor for 4 years. 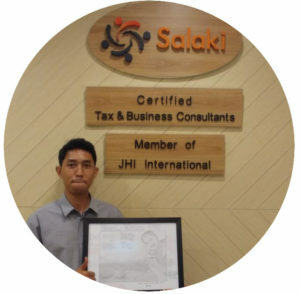 Until one day, one of Salaki’s partners offered me the opportunity to join in Tax division, and have been joining in this division for more than 6 years. 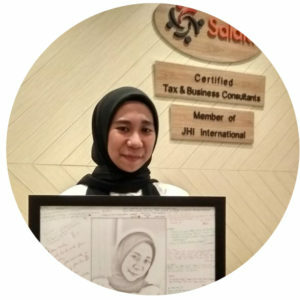 Salaki also does not hesitate to provide an internal or external training, whether it is related with Professional activities or personal life, involves you in Company’s management activities, etc. Openness and kinship in communicating with Partners in Salaki, will provide new experiences to support your careers. I have been working for Mr. & Mrs. Salaki since 1988 before Persek. Salaki & Salaki was built. I am glad to work with them for more than 30 years. Compatibility and comfortable are the main reasons why I love working here. I am happy to be a part of Salaki’s family. I have been working here for more than 9 years. Not only a comfortable working environment, I also get 100% support to take english courses at TBI and Wallstreet English to develop my softskill. I’m very happy to have the opportunity to become a part of Persek. Salaki & Salaki. I had an internship here for 4 months, and during the intern I got many lessons and knowledge which I couldn’t get from my university. And last but not least, the staffs here are very friendly and very helpful. Awesome, I got many lessons, both in tax and social interaction from Salaki. The staff here are kind. They shared and encouraged me to improve my skill. We works as a family since the staff are friendly. The most important thing is that I received many tax lessons from Salaki.